Just so I don’t miss out on possible connecting with a distant relative, I put a rough sketch of my family trees on Ancestry.com. I advise my clients to do the same, but to make the tree private so that other people don’t just take a piece of their research without contacting them. 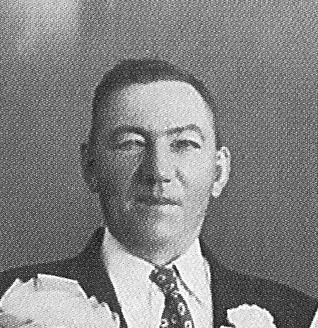 Coleman Joyce was my father’s mother’s father – my great-grandfather. He was born in Ireland in 1893 in Galway, Ireland. I know his parent’s names and where they got married. I know exactly where Coleman was born in Ireland; however I keep that off public sites. Coleman Joyce was one of eleven children, however on my Ancestry.com tree I only list the six that came from Ireland to Boston, Massachusetts. I know the fates of all the children except for one – Anne Joyce. Anne “Annie” Joyce was born in Ireland in 1891 and once she came to Boston, MA she married a Coleman Kelly in 1914. On Coleman’s draft registration card for WWI he listed he had a wife and two children and was also born in Ireland. This is where I got stuck – I could find the family on the 1920 US Federal Census. To cover my basis I sent in two requests for death certificates – one for Annie (Joyce) Kelly and one for Coleman Kelly. To my surprise I received one back for Coleman. It seems he died from the influenza epidemic in 1918. I was stuck again – I didn’t know Annie and Coleman’s children’s names and didn’t know if Annie may have remarried prior to the 1920 Census. So that was how the story ended in the Family History Book I compiled for the Joyce Family. I was on Ancestry.com the other day and I had about 238 “hints” for my research. I don’t really follow the hints as I do my own research and only use other people’s trees as guides and I add documents into my genealogy software instead of adding them to a person in my online trees. However, I notice I had eight messages that I didn’t know I had and one made my heart stop. It was from a woman who claimed to be the great-granddaughter of Coleman Kelly and Annie (Joyce) Kelly. She said her grandmother was their daughter and she wanted to know more about the family and share information with me about their other children. I almost fell out of my chair. I immediately wrote back to her and probably sounded like a desperate stalker. I told her that Annie (Joyce) Kelly was one of eleven children born in Ireland and that six had come to the Boston, MA. I also told her that the family lost touch with Annie after her husband died of the flu and no one knew what became of her. I actually gave out my phone number, something I never do but I was overly excited. After that, I called Joyce descendants that are still living. There are six children still alive from the original eleven that were born in Ireland. There are also numerous cousins that I also dug up along my journey. So many grandchildren and great-grandchildren and so on that our now not only relative, but friends. Everyone I spoke with is excited about this possible lead. Now all I can do is wait, and patience it not once of my strong personality traits. If this is not a hoax this would completely blow through another one of my brick walls and bring an end to what happened to Annie (Joyce) Kelly. What a great holiday gift that would be. This entry was posted in Family History, Genealogy Research, Irish Citizenship by kelbelle3201. Bookmark the permalink.